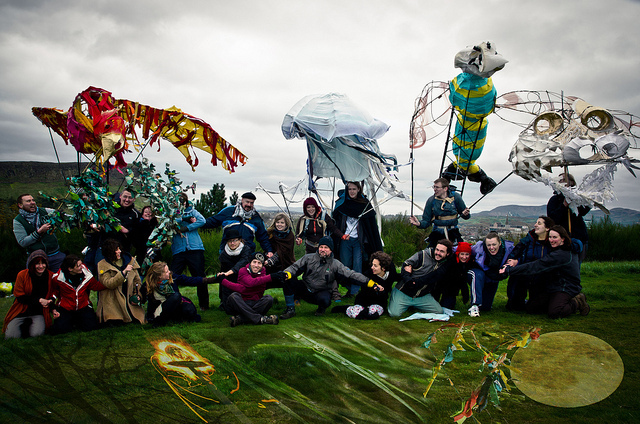 The unequivocal main force behind Edinburgh’s Beltane Fire Festival is our Volunteers. Directing their focus and helping them to develop their potential are our Group Organisers (GOs). As seen in most areas of life our Volunteers display a spread of confidence, ability and experience. For example, one of our most outgoing (and photographed) groups, ‘The Reds’, are composed of a majority who actively seek to display, or otherwise engage with, their confidence. Some groups draw the more introspective to them. The majority, however, have a median that represents what one would perhaps recognise as more ‘balanced’. 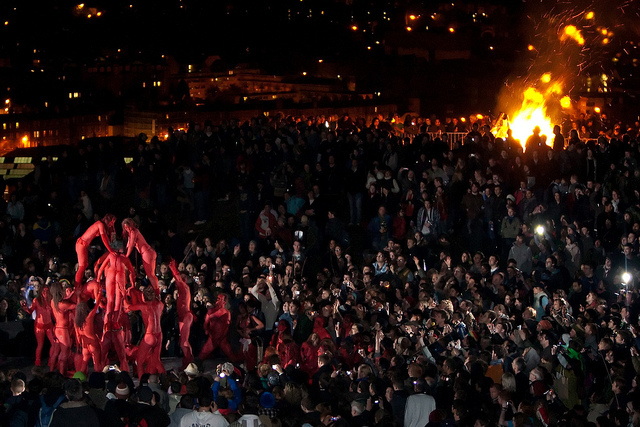 ‘Life-changing’ is a weighty title to place on any experience so it is only fair to say that the Beltane Fire Festival will not change your life: only you can make such changes. To that end the Group Organisers are there to help empower you, to encourage your confidence, and guide your burgeoning self-belief. It’s quite a task, but one that is extremely rewarding for all involved. Our Group Organisers work in a creative environment, pushing their own boundaries while providing a shared environment for our Volunteers to do the same. They bring a celebratory vision of Summer that speaks to the audience, other participants, and their group on different levels. It is all volunteered, but the rewards are many-fold: accomplishment and satisfaction; a massive performance buzz; a stronger self-belief; and life-long friendship. Feel free to contact me at contact@beltane.org to suggest topics for insights into what happens behind the curtain. If I cannot answer it then I can probably find someone who can. Andy has been volunteering with Beltane Fire Society since 1999 and has at various times performed, produced, led workshops, and been a Trustee of the Society; he is continually in awe at the passion of our Volunteers.